Here’s a pleasant home-based business that will challenge your creative as well as your managerial skills. It’s a fun business for those who have the flare for creating appetizing gift packages. From the very large and the very small, businesses have needs for gift giving on a pretty constant basis. By targeting corporate accounts, you protect yourself from potential sales fluctuations common to what are generally considered seasonal items. Businesses love gift baskets because they are “safe” compared to other gifts like chocolate (many people now carefully watch their fat intake) or wine & spirits (many people don’t drink). Of course, other possible clients for your gift baskets include associations, retail outlets, fund raisers, and individual customers who purchase for themselves or as a gift. 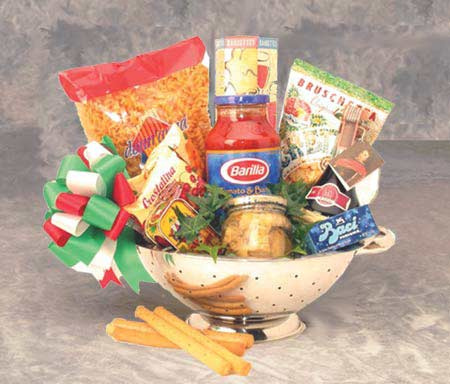 Gourmet gift baskets are fundamentally a few nice items placed in a unique arrangement and presented to look extravagant. Use your imagination and keep an eye for unusual and appealing products. To keep unit price low, inventory most commonly used items by purchasing direct from the manufacturer or main distributor. Look for large pretty items; they will give your product “size”. Raffia or “grass” can be used to cushion the items, sealed together with shrink wrap. Finish your basket with a bow or creative ribbon, and you’ve got a product that can be retailed for a profit.